Cone crusher in the hydraulic cone crusher, composite cone crusher, spring cone crusher all kinds of consumables collectively referred to as cone crusher accessories. The main accessories in the cone crusher are crushing wall, rolling wall, bowl-shaped bearing, copper bushing and so on. joyal’s cone-broken crushing wall is cast from a new microalloyed composite material, which improves the wear resistance of the cone crusher and prolongs the use time of the cone crusher. 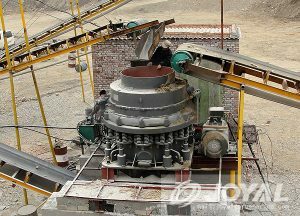 Jaw crusher is a commonly used processing machinery and equipment for ore crushing. Jaw crusher accessories can also be referred to as jaw crusher wearing parts. It is an important part of jaw crusher and can be divided into jaw crusher side guards. , jaw crusher tooth plate, jaw crusher elbow, triangle belt, etc., Joyal remind everyone that due to jaw crusher parts will appear in the crushing process will wear out, so within a certain period of time need to be replaced . In order to extend the service life of the main components of the jaw crusher,Joyal’s Jaw Crusher tooth plate movable jaw plate and fixed jaw plate are high quality high manganese steel castings. In order to extend the service life of the jaw crusher, the Jaw Crusher tooth plate activities The shape of the seesaw plate and the fixed jaw plate are designed to be symmetric upward and downward, that is, an adjustable head can be used when one end is worn, which can save some maintenance consumption problems.